Be prepared for any situation with this innovative radio with built-in flashlight and cell-phone charger. The hand-crank power generator means no batteries are required, ever. 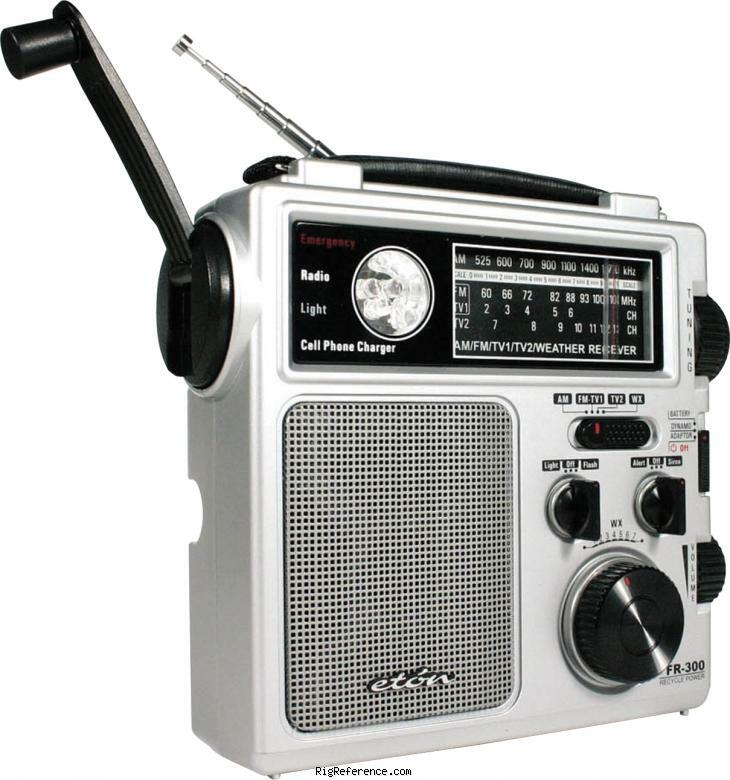 Just turn the crank to listen to AM and FM radio, plus seven shortwave bands. Take it with you when you’re camping or hiking and use the built-in flashlight when darkness falls. And in case of emergency, you’ll be able to power up your cell phone and hear important alerts, anytime, anywhere. Internal Ni-MH battery, 3×AA cells, AC adapter or dynamo crank. Estimating the value of a rig can be challenging. We collect prices paid by real hams over the years to help you estimate the current value of the Etón FR250. Just bought or sold this model? Let us know what you traded it for and help other ham operators!